Pioneering aviator Vivian ‘Vee’ Walsh took to the skies over South Auckland to make the first successful flight in New Zealand. During late 1910 and early 1911, Vivian and his brother Leo, members of the Auckland Aeroplane Syndicate, worked with a small team of men and women to assemble a Howard-Wright biplane that had been imported from England in parts. Early on the morning of Sunday 5 February, Vivian flew the aeroplane, named the Manurewa (‘Soaring Bird’) No. 1, for the first time. The flight took place within a single paddock, the steeplechase part of the Papakura racecourse. The defunct Papakura Racing Club had held its final race meeting a fortnight earlier, on 21 January 1911. Racehorse breeder William Walters of Glenora Park had made the paddock and the rooms under the grandstand available to the syndicate, which comprised the Walsh brothers and three investors, brothers A. Neville Lester and Charles B. Lester, and A. Josiah Powley, the syndicate’s secretary. The flight on 5 February, Leo Walsh’s 30th birthday, was observed by the brothers’ father, Austin Walsh JP, and his sisters Veronica and Doreen Walsh, as well as some local residents. No description of the height or distance achieved survives. Another flight with syndicate members present took place four days later, on 9 February. With Vivian again piloting, the Manurewa rose over 6 m from the ground and travelled a distance of 300–400 m. With no brakes, and insufficient ground to slow down, the machine ran into a fence after landing. The Walsh brothers and an American colleague, Reuben Dexter, went on to establish the influential New Zealand Flying School, with Vivian becoming the first New Zealander to obtain a pilot’s licence (see 13 July). We have 9 biographies, 1 article, 2 comments related to New Zealand’s first controlled powered flight . The date here is incorrect. 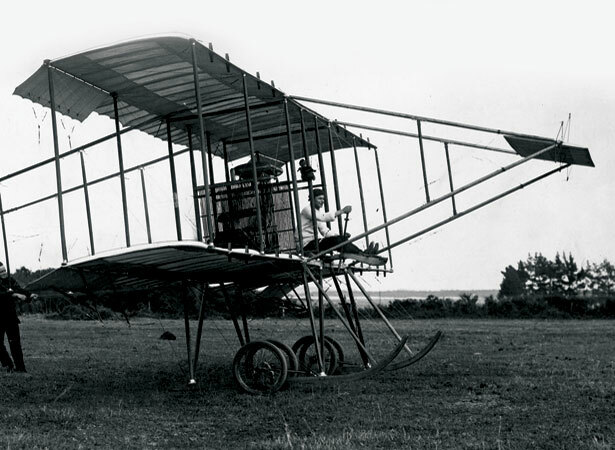 The first flight was undertaken on February 5 1911.